When it comes to health advice, we are often inundated with facts and figures about our vitamin deficiencies. Articles telling us that we are not getting enough of this vitamin or how easily we could add more of another vitamin into our diet abound. But what about having too much of a vitamin? Having too much of a certain vitamin can actually damage our health. Which brings us to vitamin D.
Vitamin D does a number of good things for your body, but did you know that too much of it can lead to vitamin D side effects? Or even a vitamin D overdose? We’re going to tackle vitamin D overdose and what it can do to your body, as well as and how much vitamin D you should be getting on a regular basis. Is Vitamin D Overdose a Serious and Rising Concern in America? Vitamin D is often called the sunshine vitamin due to the fact that it’s created by our skin when in contact with sunlight. It can also be found naturally in foods like milk and salmon. It can help your bones stay strong and can help bones damaged by things like osteoporosis repair themselves. Even though it’s a vitamin that is found and created naturally, over 42% of Americans suffer from vitamin D deficiency. This can be attributed to diet and lack of sunlight (from the rise of things like shift work and night shifts). As a result, more Americans are taking more and more vitamin D supplements in an effort to deal with their vitamin D issues. But a lot of those people may be taking too much in the way of vitamin D supplements. This increase could lead to overdoses and side effects of too much vitamin D in your system. So, if you need vitamin D but you don’t want vitamin D side effects or an overdose, you may be asking yourself, “How much vitamin D should I take?” and “How much vitamin D is too much?” It’s not that simple of an answer, unfortunately. The amount of vitamin D that you should be consuming or supplementing can depend on various factors like age, race, and even where you live, how much sunlight your skin gets and how much skin gets sunlight. That being said, in general terms, your intake of vitamin D should be somewhere around 400 to 800 IU, or 10 to 20 micrograms. This is an adequate amount for approximately 97% of the populace. There are some studies that suggest 1000 to 4000 IU or 25 to 100 micrograms may be needed in order to keep your blood volume at an optimum level. The range is vast, but as we stated before, it does depend on different factors. Someone who lives in Norway, for example, may not produce any vitamin D during the winter period (approximately October to March) due to the months long lack of exposure to sunlight. This may require the person to take vitamin D supplements. If that same person relocates to the state of Florida or Texas, he or she may not need supplements at all due to their overall exposure to sunlight (more sunlight and less clothes covering their skin, so more skin gets sunlight to make more vitamin D). For a more accurate estimation of how much vitamin D you need, talk to your doctor. A primary healthcare provider who is familiar with your medical history and lifestyle can better advise you of, because the last thing you want to do is overdose on vitamin D.
You may be wondering what the big deal is. How can you take too much of a vitamin? In the case of vitamin D, you can have too much of it. And it can have some nasty side effects that you more than likely don’t want to deal with. What are the side effects of too much vitamin D? Here are the most common. It may sound odd, but you can indeed have too much blood floating around in your circulatory system. That extra blood doesn’t really have anywhere to go and also carries with it the possibility of excess minerals. An overabundance of vitamin D can bring with it an overabundance of calcium levels in your blood stream. This can lead to a lot of issues, including these common symptoms: fatigue, dizziness, and confusion. You may experience issues with the digestive system like vomiting, nausea and stomach pains. Other common digestive issues that go along with elevated calcium levels are constipation and diarrhea. This is a result of the excessive amount of calcium in your system. You body will naturally try to flush it out through urination. This is, in part, due the excessive calcium as well as the frequent urination. You’re losing fluids, so your body will naturally want to replace them. It may almost seem contradictory as both vitamin D and calcium can be very helpful in terms of the health of your bones, but bone loss can be an issue for those with heightened vitamin D levels. Vitamin D helps the blood and bones absorb calcium, but if there is too much of it, the excess vitamin D can lead to too little vitamin K2 which is the vitamin that keeps the calcium into the bones instead of leaking out back into the blood stream. Without that calcium, your bones can start to become brittle and lead to bone loss. It could make other conditions worse. Too much vitamin D and the abundance of calcium that it holds can lead to other pre-existing conditions getting worse. If you have issues with hardening arteries, they might worsen; and if you have a history of kidney stones, the calcium could make them reappear with a vengeance. If you suffer from tuberculosis or lymphoma, too much vitamin D can raise your calcium levels to a point where kidney stones become an issue, even if you’ve never had them before. The most severe side effect of too much vitamin D is likely kidney failure due to the elevated blood levels and elevated calcium levels in your blood stream. Now, while kidney failure appears to be the worst thing to come out of a vitamin D overdose or too much vitamin D, the fact of the matter is that we cannot know for sure. The overuse of vitamin D supplements is a fairly recent phenomenon, so there aren’t many long-term studies on the subject. There might be worse issues on the horizon for those who are taking way too much vitamin D. The effect on calcium, for example, might be long lasting because it may take a few weeks or even months to flush the excess calcium out of your bloodstream and get your blood levels back to normal. We tend to think that our body needs all of the vitamins that it can get. The more vitamin C you get into your system, the less chance there is of you catching a cold or getting sick, right? The same cannot be said of vitamin D. Too much vitamin D can lead to health problems that might not only affect you immediately, but might also affect you for months down the road, if not longer. 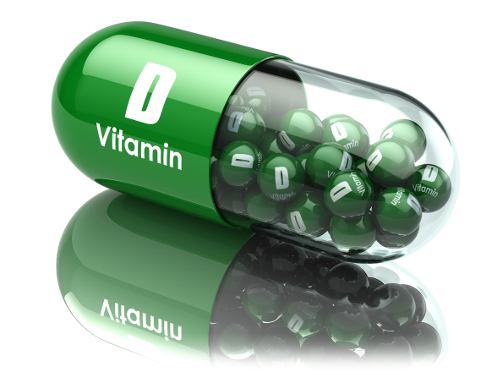 If you are taking vitamin D supplements, make sure to speak to your doctor about how much you should be taking. Hopefully, with their help, you will get the right amount of vitamin D into your body and not have to deal with any pesky side effects at all. Should You Test for Low Vitamin D Blood Levels? Could Vitamin D Protect Against Heart Disease? “Are you taking too many supplements?” The Daily Mail, June 20, 2017,updated June 2017, http://www.dailymail.co.uk/health/article-4623290/Americans-taking-vitamin-D-supplements.html, last accessed June 21, 2017. Gordon, S., “Researchers concerned Americans taking too much vitamin D,” UPI, June 20, 2017, http://www.upi.com/Health_News/2017/06/20/Researchers-concerned-Americans-taking-too-much-vitamin-D/2701497989166/, last accessed June 21, 2017. Bjarnadottir, A., “How Much Vitamin D Should You Take For Optimal Health?” Authority Nutrition, June 4, 2017, https://authoritynutrition.com/how-much-vitamin-d-to-take/, last accessed June 21, 2017. Spritzler, F., “6 Side Effects of Too Much Vitamin D,” Authority Nutrition, February 26, 2017, https://authoritynutrition.com/vitamin-d-side-effects/, last accessed June 21, 2017.